I transmit information on Japanese culture and some must-to-go places. Crane games, known in Japan as “UFO catchers”, are a mainstay of the country’s arcades. Players use bottons (or a joystick) to manipulate a mechanical claw over an enclosed bin full of prizes, in hopes of picking one up and getting it out of the machine. You often pay 100 yen per play, or 500 yen per 6 plays. Sometimes a kind shop assistant comes over to give you an advice, or re-adjust the position of prize as it could be caught easily. But they are often hard to catch, as the claw is almost purposely made dodgy so even if the claw touches the prize it often misses. However, you can often just push down the prize with the claw as in the video above, which may be one of techniques you may want to use. I often see people who are totally addicted and almost forget about how far they've been spending their money on. But Japanese can become so enthusiastic about it since the prizes may be "premiere", like some limited character goods from Japanese "anime" or comics which you can only get by playing crane games. 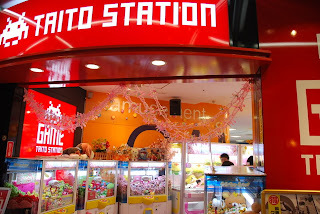 Japanese arcades are often located near stations in a walk distance. 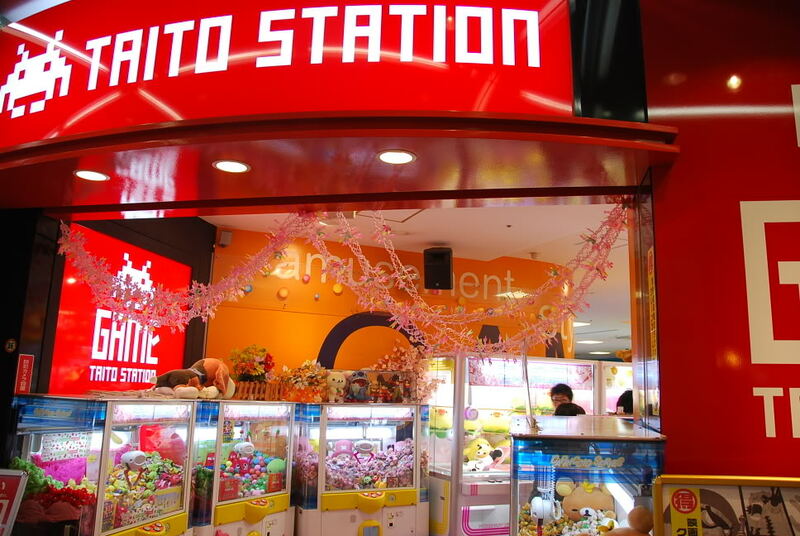 "TAITO STATION" is one of the biggest ones. Japanese arcades also have variety of cutting-edge games and some photo sticker booths (known as "prikura"). Konnichiwa! I transmit information on Japanese culture and some must-to-go places. Hope it will help your visit in Japan! What do you want to find out about Japan?